Draft: 2014, Arizona Diamondbacks, 1st rd. Named is pronounced TWO-key TWO-sahnt ... Attended Coral Springs Christian Academy…Was committed to Vanderbilt University prior to being drafted. Made his major league debut and went 2-1 with a 4.03 ERA (13 ER/29.0 IP) in seven games, five starts, for Atlanta ... Atlanta selected his contract, optioned him to Triple-A Gwinnett and then appointed him as the 26th man for a doubleheader on 8/13, and he made his debut that afternoon vs. Miami ... Tossed 6.0 two-hit innings in his debut, allowing one run and two walks while fanning four… Became just the third Braves pitcher over the last 110 seasons to go at least 6.0 innings and allow no more than two hits in his debut, joining James Parr (9/4/08 vs. WSH) and Armando Reynoso (8/11/91 vs. HOU) ... Won his major league debut, and was one of four Braves pitchers to do so in 2018… Toussaint, Kolby Allard, Mike Soroka and Bryse Wilson all started and won their debuts last season, and the Braves are just the second team in the last 110 seasons to have four different starters win their MLB debut in the same season...The 2009 Baltimore Orioles had five such pitchers ... Carried a no-hitter for 4.1 innings against Boston on 9/3, but took the first loss of his MLB career ... Made five total starts for Atlanta, and went 2-1 with a 3.33 ERA (10 ER/27.0 IP)…Allowed three runs in 2.0 innings (13.50 ERA) in two relief appearances ... Was named by the organization as Atlanta's Minor League Pitcher of the Year, and also earned Pitcher of the Year honors for Double-A Mississippi ... Made 24 starts at the minor league level, splitting his season between Mississippi and Triple-A Gwinnett...Combined to go 9-6 with a 2.38 ERA (36 ER/136.1 IP) and 163 strikeouts ... Opened the season in Mississippi and made 16 starts with the M-Braves (4-6, 2.93)...Transferred to Gwinnett on 7/4 and went 5-0 with a 1.43 ERA in eight starts for the Stripers ... At the time of his recall, his 163 strikeouts were most among Atlanta farmhands and tied for eighth most in the minor leagues ... Earned two Pitcher of the Month awards, first in June at Mississippi (2-1, 1.17 ERA in five starts) and again in August with Gwinnett (3-0, 1.08 ERA in four starts) ... Named a Southern League Mid-Season All-Star ... Named International League Pitcher of the Week on 8/26 ... Ranked in the Top 10 among Atlanta starting farmhands (min. 15 starts) in strikeouts (1st, 163), ERA (2nd, 2.38), wins (T2nd, 9), hits per 9.0 innings (3rd, 6.7) and innings pitched (4th, 136.1) ... Entered the season ranked by MLB.com as Atlanta's No. 11 prospect, and by Baseball America as No. 14 ... Made his first postseason roster and pitched in two games of the NLDS vs. LAD…Tossed 3.0 scoreless innings with a pair of strikeouts. Split the season between High-A Florida and Double-A Mississippi, combining to go 6-13 with a 4.53 ERA (73 ER/145.0 IP) over 26 starts ... Named Florida's Pitcher of the Year by the organization after fanning 10.5 batters per 9.0 innings over 19 starts with the club ... Led all Atlanta farmhands and ranked tied for 13th in the minors with 167 strikeouts ... The 167 strikeouts were the most by a Braves prospect since Chuck James fanned 193 batters in 2005 ... Named Southern League Pitcher of the Week for 8/14-20 after throwing 7.0 scoreless innings with nine strikeouts on 8/19 vs. Pensacola ... Following the season, pitched with Peoria of the Arizona Fall League...Named an AFL Rising Star ... Entered the 2017 season ranked by MLB.com as Atlanta's No. 10 prospect, and by Baseball America as No. 12. Spent the season with Single-A Rome and ended in the Top 10 among Atlanta farmhands (min. 75.0 IP) in strikeouts (6th, 128), innings (9th, 132.1) and ERA (10th, 3.88) ... Made one start in the postseason (9/13 vs. Lakewood), tossing a career high-tying 8.0 innings and allowing one run as Rome won the South Atlantic League Championship. Acquired by the Braves in a mid-season trade with Arizona and combined to post a 5-7 record and a 4.83 ERA (47 ER/87.2 IP) in 17 starts on the season between Rome and Single-A Kane County in the Diamondbacks system ... Entered 2015 labeled by Baseball America as Arizona's fifth-best prospect, and the 71st best in baseball. April 21, 2019 Atlanta Braves optioned RHP Touki Toussaint to Gwinnett Stripers. April 13, 2019 Atlanta Braves recalled RHP Touki Toussaint from Gwinnett Stripers. March 24, 2019 Atlanta Braves optioned RHP Touki Toussaint to Gwinnett Stripers. September 1, 2018 Atlanta Braves recalled Touki Toussaint from Gwinnett Stripers. August 14, 2018 RHP Touki Toussaint returned to Gwinnett Stripers from Atlanta Braves. August 13, 2018 Atlanta Braves selected the contract of Touki Toussaint from Gwinnett Stripers. July 4, 2018 RHP Touki Toussaint assigned to Gwinnett Stripers from Mississippi Braves. February 28, 2018 RHP Touki Toussaint assigned to Atlanta Braves. July 31, 2017 RHP Touki Toussaint assigned to Mississippi Braves from Florida Fire Frogs. April 4, 2017 RHP Touki Toussaint assigned to Florida Fire Frogs from Rome Braves. September 28, 2015 Rome Braves activated RHP Touki Toussaint from the 7-day disabled list. August 21, 2015 Rome Braves placed RHP Touki Toussaint on the 7-day disabled list. June 21, 2015 RHP Touki Toussaint assigned to Rome Braves. May 17, 2015 RHP Touki Toussaint assigned to Kane County Cougars from Missoula Osprey. August 4, 2014 RHP Touki Toussaint assigned to Missoula Osprey from AZL D-backs. June 22, 2014 RHP Touki Toussaint assigned to AZL D-backs. 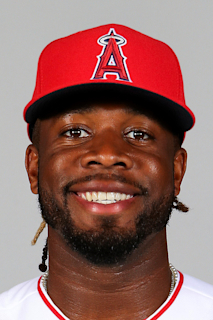 June 20, 2014 Arizona Diamondbacks signed Touki Toussaint.